Today we will be concluding our exploration of the Bill of Rights. The rights dictated by the first ten amendments to the Constitution of the United States are foundational elements of our country. They make America the unique and incredible country it is today. Let’s finish off learning about the Bill of Rights by diving into the final three amendments. After an individual is accused of a crime, and while they are waiting to go on trial, they are given the opportunity to make bail. If they pay an appropriate amount of money, they will be released from jail pending the commencement of their trial. The Eighth Amendment regulates how bail can be set. The cost of bail must directly reflect the severity of the crime allegedly committed by the accused. Additionally, excessive fines cannot be levied against the accused. The Ninth Amendment further regulates governmental power. 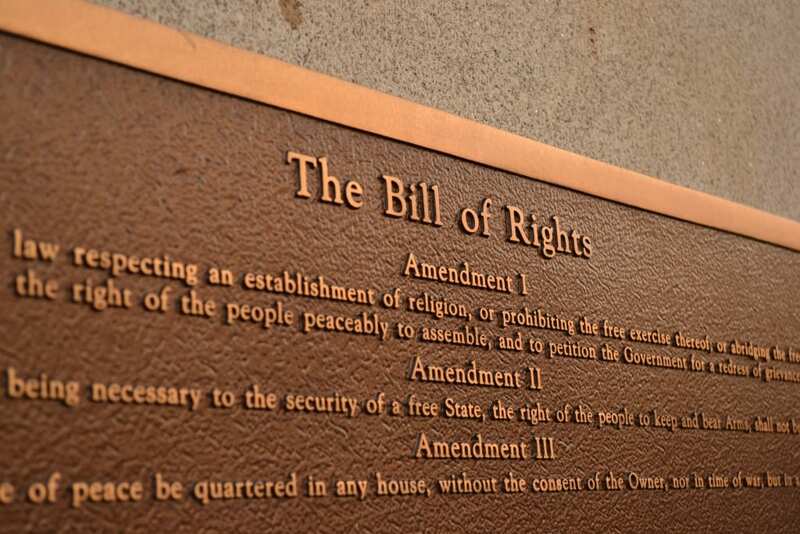 The wording may be confusing, but essentially it means that the contents of the Constitution, what has been written in, and what has been omitted, can never be used to take rights away from the citizens of the United States. The ninth amendment is a coverall meant to protect citizens from anything the founding fathers were unable to anticipate. Again, this amendment has been designed to regulate the power of the federal government. Any power which has not been directly assigned by the Constitution should fall to citizens and individual states, rather than the federal government.